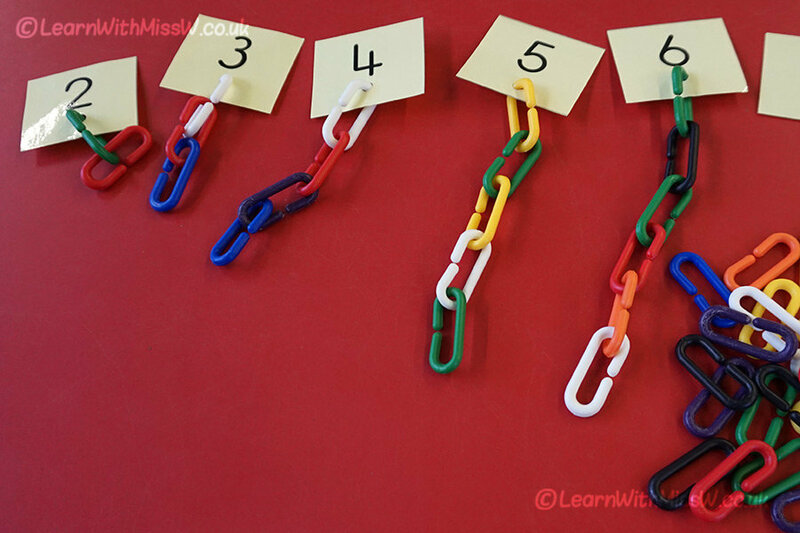 Count carefully with this simple linking chain game. We have been learning how to count carefully and using ‘move to count’ to keep track of what we have counted already. This game is very simple to put together, with the numbers laminated and hole punched so the chains can be attached. The links are great as they are suitably fiddly to clip together, giving great fine motor practice. The line of links reinforces the idea that we should count items in a logical order. The completed chains also give a good demonstration of size and how quantities can be ordered by size. These links are great and can also be used for making patterns and measuring length.